Maui is a different world - if you wish to buy there it is especially important you deal with a realtor who will put your needs first and stay focused to follow through the process with you. It is not that easy to find such realtors on Maui. Let me introduce you to the realtors on the island best equipped to follow through in the mainland style you are accustomed to. I have connections with several or the top specialists for different areas of the island like Wailea, Kihei, UpCountry, Kaanapali and more. If you want to purchase as an investment or rent your condo until you're ready to use it more full time, I have unique experience in identifying, selecting and managing Maui Rentals that will cash flow and offer excellent returns. Why buy Maui Real Estate? I think the answer is actually pretty simple really. It all has to do with lifestyle and opportunity. Best beaches in the world. Informal living. Shorts, Aloha Shirt, and Slippers are all you need. Fine dining and most delectable fish. Social and cultural activities for young and old alike. The list could go on and on. Most of you probably have other reasons why you either live here or would like to live here. Now is the time to build for your retirement or add a good income investment property. Living on Maui or vacationing here does not mean that you have to own real estate. You can choose to rent, and for many people that may be their best option. My family has 3 gorgeous condos ocean front in South Maui’s resort community of Wailea – click here to find out more about renting them. In the long run, however, it is best to be in control of your own destiny, and build your equity rather than your landlord’s. Besides, Maui is on sale with prices down anywhere’s from 30 to 50% or more. Sales began rebounding in March and the market is much more active. Great Values are still available but now is the time to act. 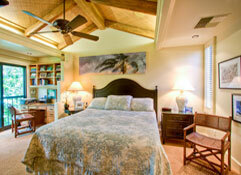 If you are ready to live the Maui lifestyle, drop me an e-mail, or call me (312-315-4544). I am ready to help you fulfill your dreams. 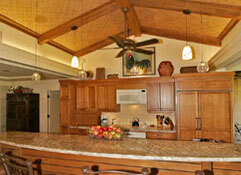 On Maui, many owners choose to rent their property when they are not using it. Radiologists, for example, often have their company buy a place and keep one of the bedrooms for nighthawk or business. They are able to write off their extended vacations, rent it when they are not using it and watch the yearly double digit growth in their equity when the market is back. I am uniquely positioned to understand the rental market on Maui and help you find the best price in the best place for both renting and relaxing. That’s how we got started – actually made money the first year – it all depends on what you can buy a property for – and now is the time to get some extraordinary deals. The market is right now once again at 2005 prices – with limited water & ocean front real estate existing property is pretty much the only option. Now is the time to realize a dream and plan for your future. Contact me! These are popular rentals with a 60% repeat renter rate. We have access to other condos available from their owners for vacation rentals on Maui in all price ranges. Contact me! This Property could be yours.